Awesome James. Eating like a king. No thanks on the summer squash. OK, Eric, you will have to admit they make nice table decorations? 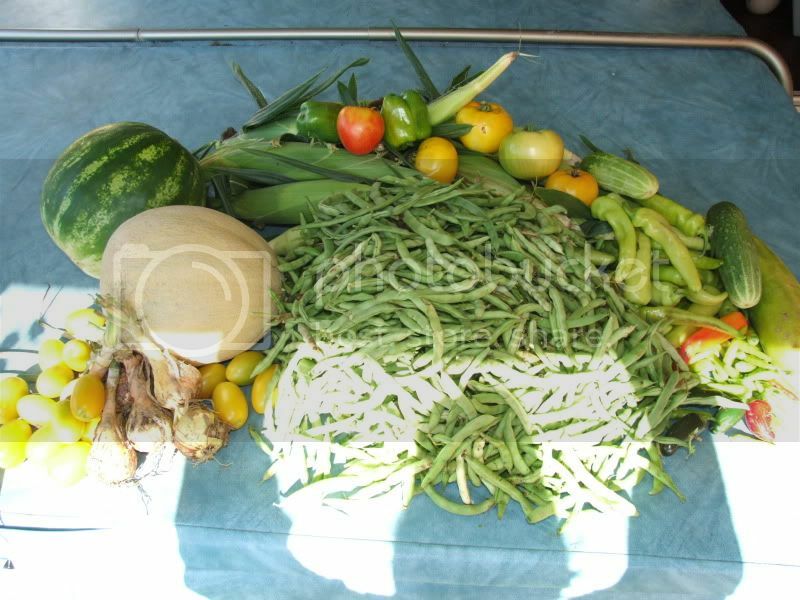 That's a nice variety of fresh vegetables you have there James. 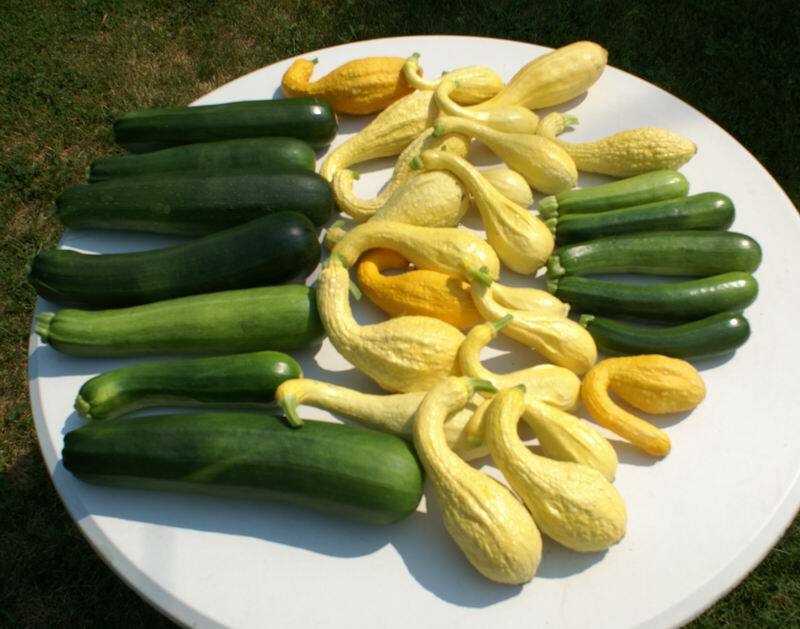 I envy you for being able to grow summer squash without SVB's taking them out. You can grow a wider range of variety in your season than I can in mine. I can eat beets now, but they are the ones I canned from this past falls garden and I haven't had fresh garden greens in a couple months because of the heat. But I'm gearing up for the fall season and already have my seeds on hand. I'll eat them in squash bread and muffins. Be sure to freeze them before shipping to Washington. I don't have a picture to show for it, but took the afternoon off yesterday (from the garden), rented a pontoon boat on a local lake with five friends. We had potluck picnic on the boat. 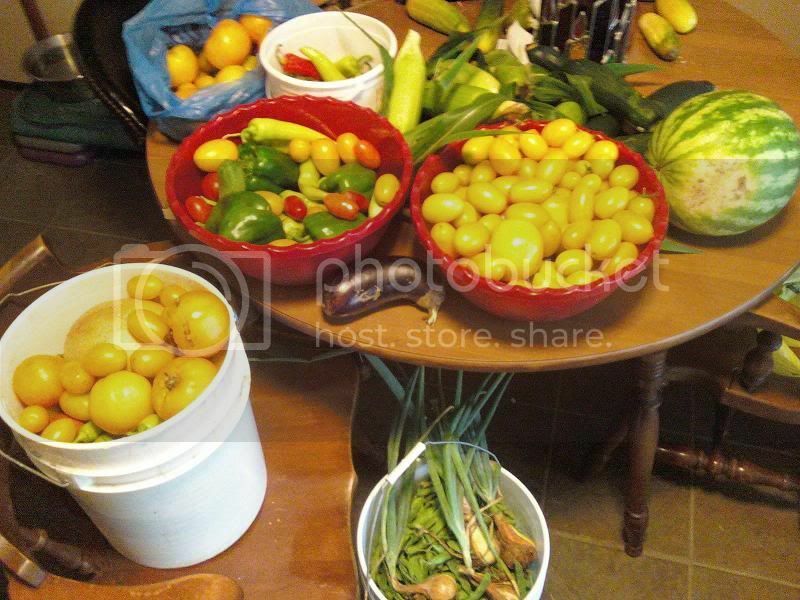 My contribution was my day's harvest - a bunch of tomatoes, a green pepper, a bunch of celery, chard, basil, parsley. Since the rest of them don't grow tomatoes (isn't that strange ), they were amazed at how good my home grown heirloom tomatoes are. They were fighting for the privilege of taking the leftovers home! It was fun! Nothing like a home grown vine ripened tomato. My mouth is watering. If I am really lucky, I will get some in a month. Starting to be loads of green ones. Nice yield! What varieties of onions do you have there, jal? jal_ut wrote: Nothing like a home grown vine ripened tomato. My mouth is watering. If I am really lucky, I will get some in a month. Starting to be loads of green ones. 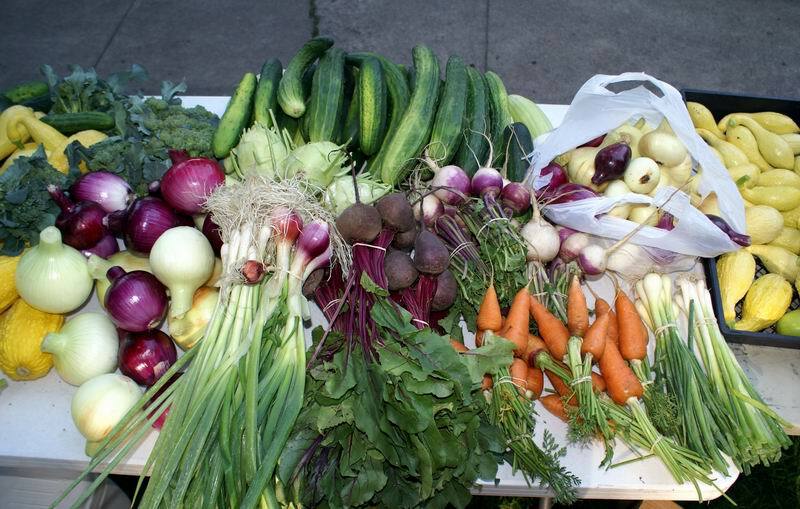 Beuatiful harvest I am impressed. Wish I had that much variety. I have faith in you James fresh tomatoes are on the way my friend. Soil temps are a big thing though I am not a big fan of plastic some black plastic might help. We have had so many this year already I have canned sauce, tomatoes soup, pizza sauce, I am getting ready to make a big batch of Ketchup to can. I know we have given away 2 bushels already. My favorite time of the garden is when we have put up all we need and I start giving stuff away. What varieties of onions do you have there, jal? The reds I just call "Red". The others are Big Daddy. Some of those larger ones went over 1.5 pounds each. 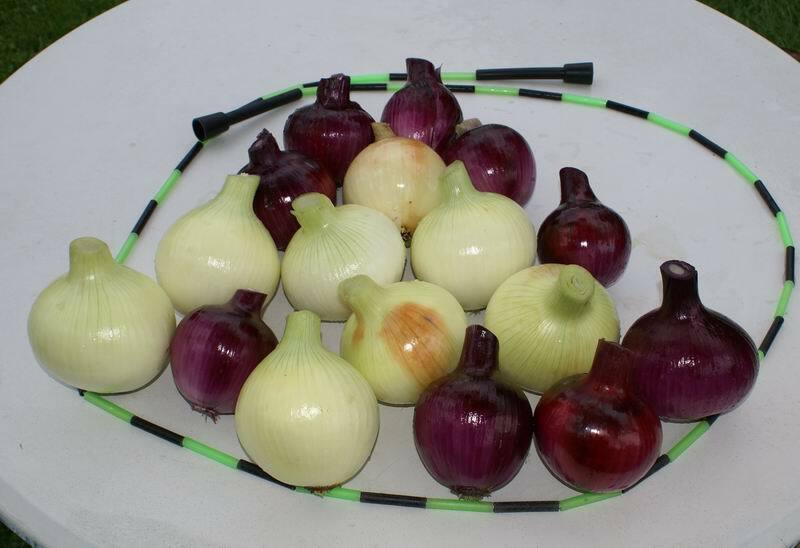 I grow some Yellow Spanish onions too, but none of that variety are in the photo. We went up and did some picking last night at my northern garden. Nice harvest. Good variety. Don't you love it when the goodies come in like that? 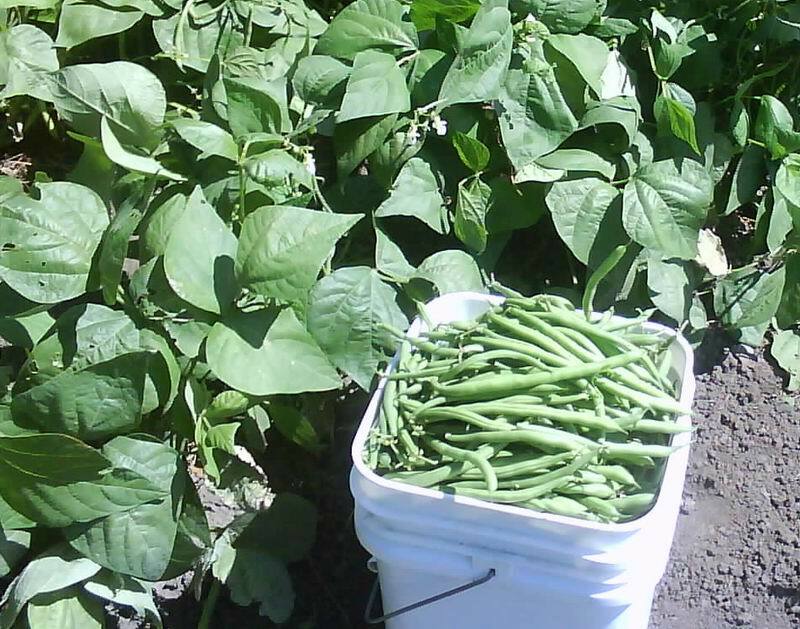 The beans have done really well.